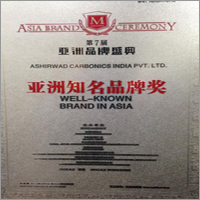 Ashirwad Carbonics India Pvt. Ltd. is working under ISO 9001:2008 certified parent firm- Ashriwad Group of Companies founded in the year 2000. In the beginning, we have worked as a consultant for gas producing plants & equipment and in the year 2007, started manufacturing and supplying Co2 Cylinder Filling System, Dry Ice Machines, Dry Ice Blasting Machine, Industrial Refrigeration Unit and more. We are consistently growing under the leadership of Mr. J.P. Kaushik, Mr. Mayank Kaushik and Mr. Mohil Kaushik. 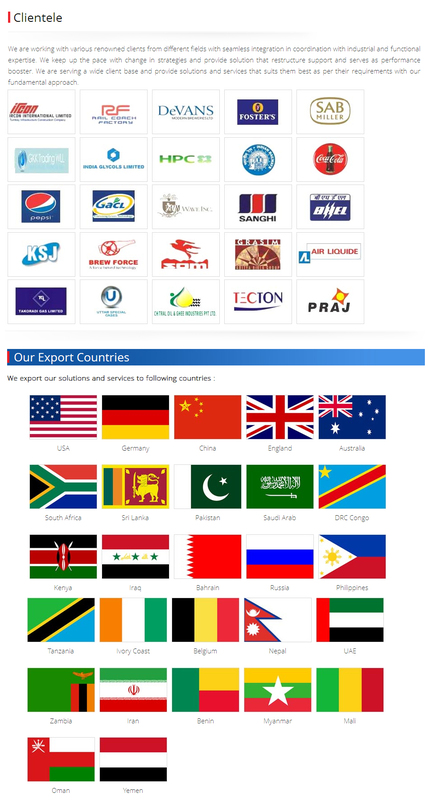 Besides, our association with the third party inspection agencies Chempro Inspection, MecElect Industries, BVIS and DNV, ensures 100% quality of products. Some of the value added services, we are providing to the clients are 24*7 Customer Care facility and After Sales Services. Also, the clients can avail engineering consultancy solutions like Feasibility Report, Pressure Vessel Designing etc. from us.